In order to make the meat perfect and satisfied to the customers, all the meat maturation is produced by its own farm. The freshness is also keep the best quality. 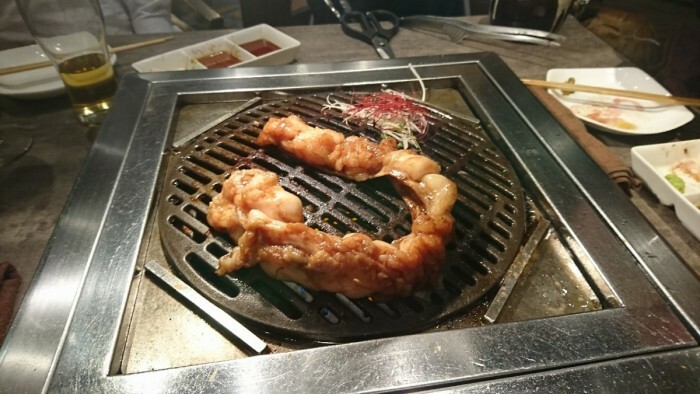 Many local residents and tourists are full of praise for this Yakiniku restaurant. And the price is very reasonable! 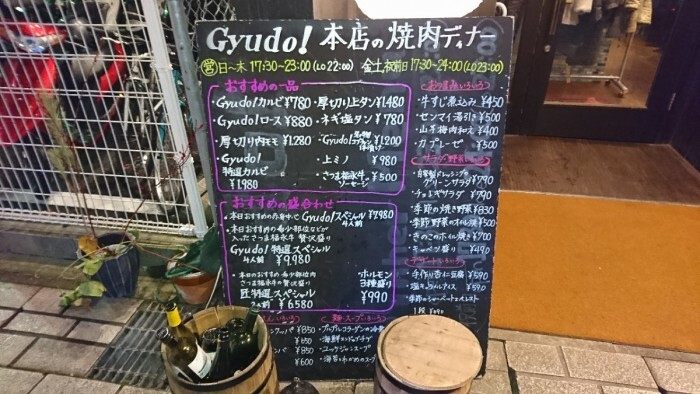 For example, spare ribs and salted tongue only cost \780. It will cost more than not eating it!! 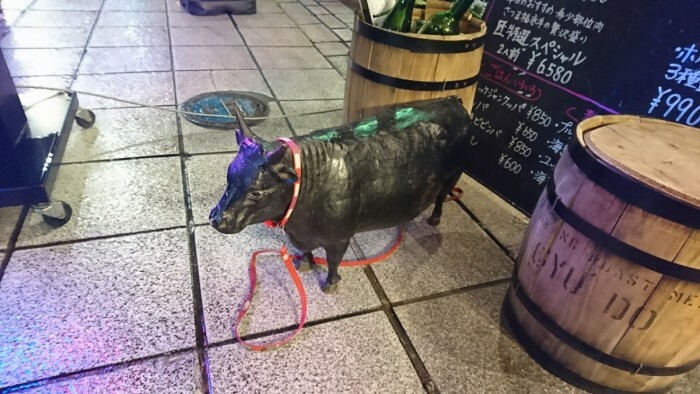 There is a Japanese Black beef statue outside of the store in order to easy to understand it is a Yakiniku restaurant! 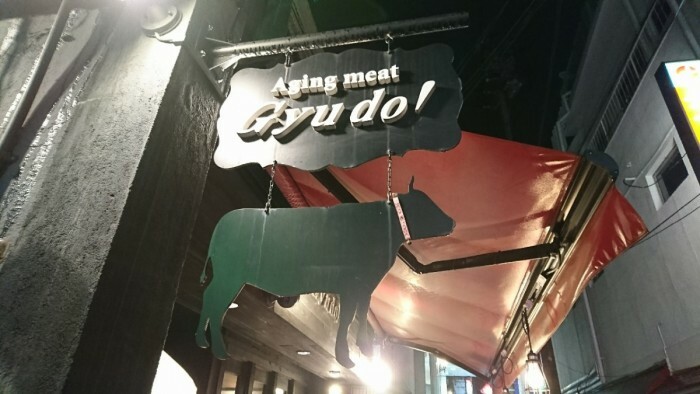 In the store, there is a ‘Today’s Satsuma Fukunaga Gyu’ board that listed every parts of the meat. 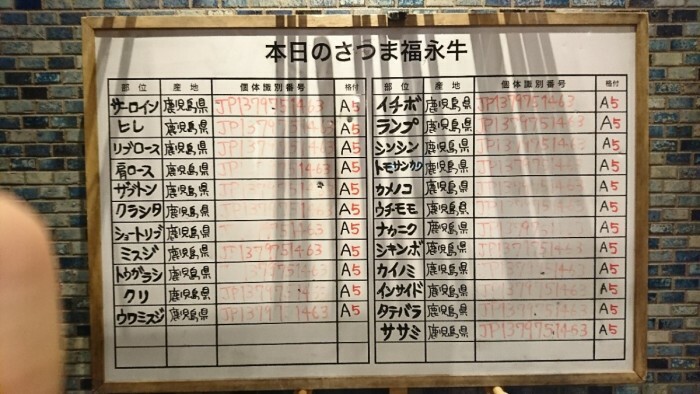 Original produced place and the quality are marked on the board. All of the quality is A5!! Wow, all of the meat is the best quality, A5!!! 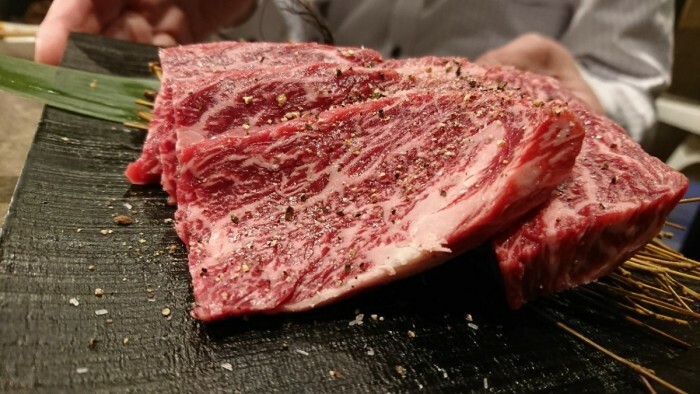 Satsuma Fukunaga Gyu won the Honorary Award in the year of Heisei 25th that was given by the national beef association. 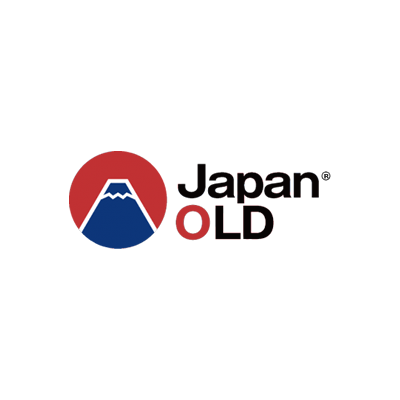 It considers the best quality in Japan. 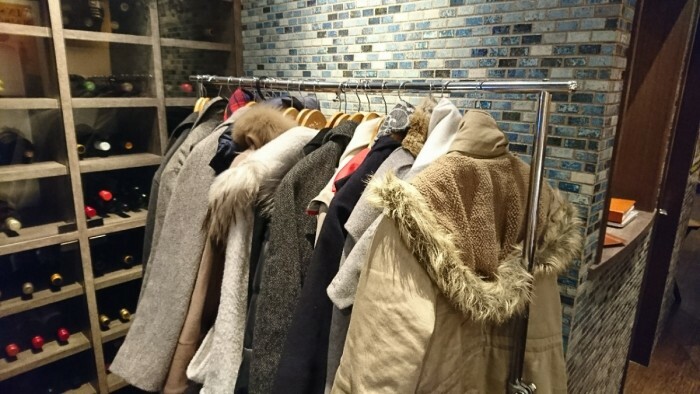 I hang my jacket on garment rank which is in front of the wine cabinet…. 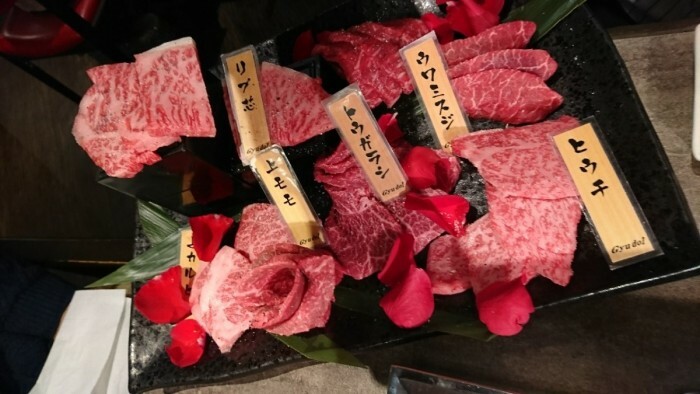 Our table is very stylish that is different from the regular Yakiniku restaurant. 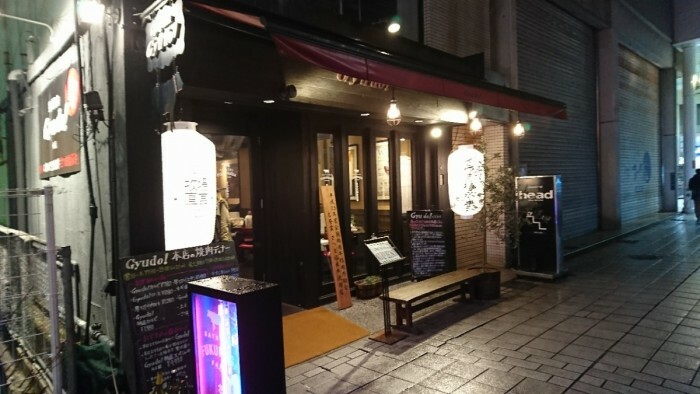 The restaurant is more fashionable and little more atmosphere. 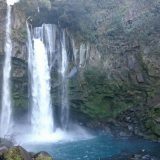 It is also a good place for female to hang out. Look at it! It is full of people! 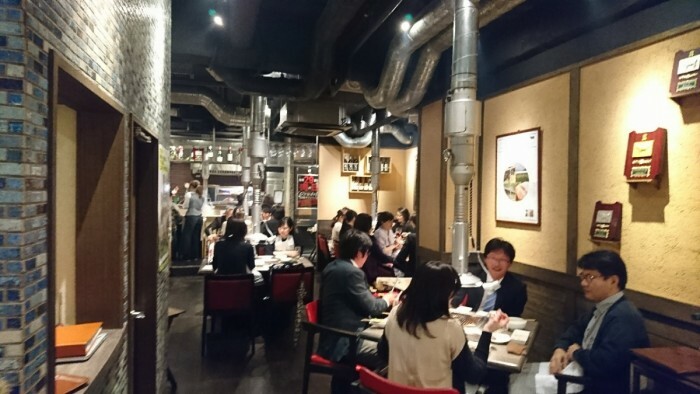 What a popular Yakiniku restaurant! And it has the most high quality A5 meat! The staff are full of energy and the cook is full of power! 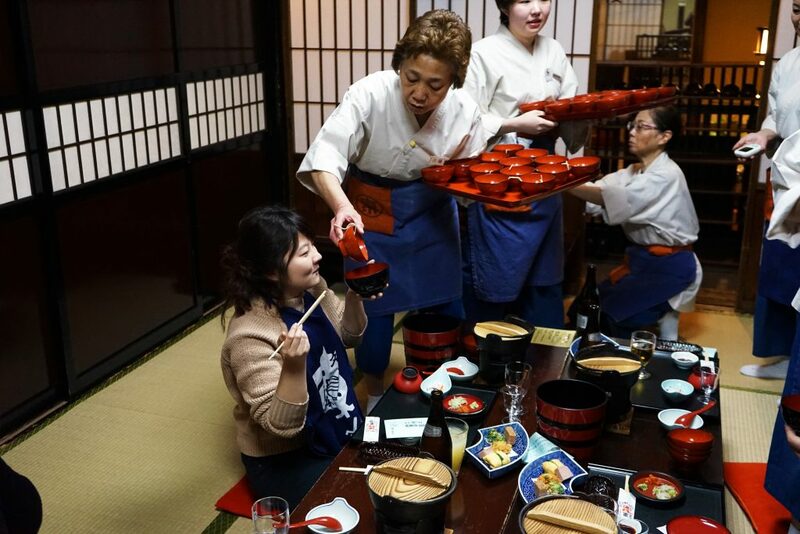 The customers are also enjoy the food. 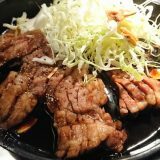 Oh~~ I am starving!! I can eat a horse!! Wow! 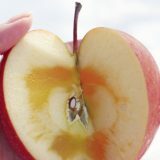 It is so delicious!! It is probably the best beef that I have ever eaten! 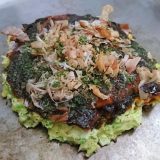 This is the most delicious food in the world! It is worthy to wait for this meal! Here is a trivia. By aging the beef, it will add the sense of taste and the softness of the meat. The perfect aging period is 50 days with strictly inspection. This is the way to make the best quality aging meat. Such a feast! (LOL) Each part of the meat is so soft that you almost don’t need to chew it! In order to keep the fibers of the meat, the cutting method changes according to the parts of the meat! It needs the professional skill! With the full respect and appreciation, I am so thankful for the people who naturing the beef cattle and all the staff in the restaurant. It only costs \800! If you try to eat the whole one, you might choke! Don’t worry, the waiter will come to your table to cut into small pieces to eat. It has a lot of collagen and tastes jiggly. 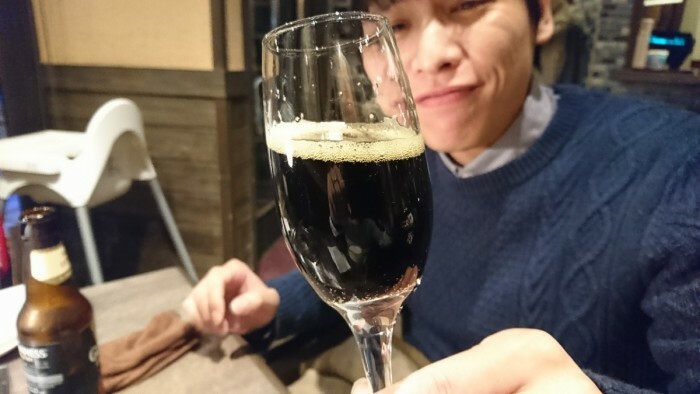 It is a taste that you will never forget! How can we forget the beer? 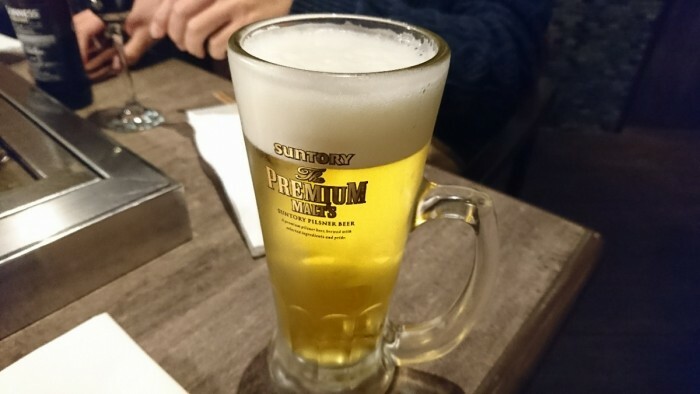 Definitely need the beer with Yakiniku! There are variety of wine near the garment rank. 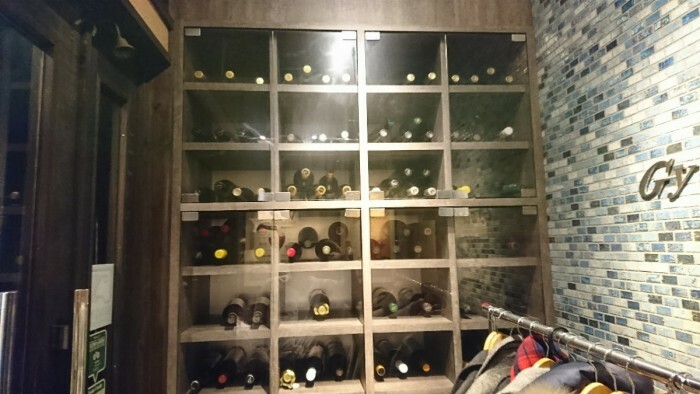 You can ask the staff for the perfect wine with the meat. No matter you come by yourself or with the family, co-workers, or wanna have a ‘Girls only Party’, it opens for all the occasions. 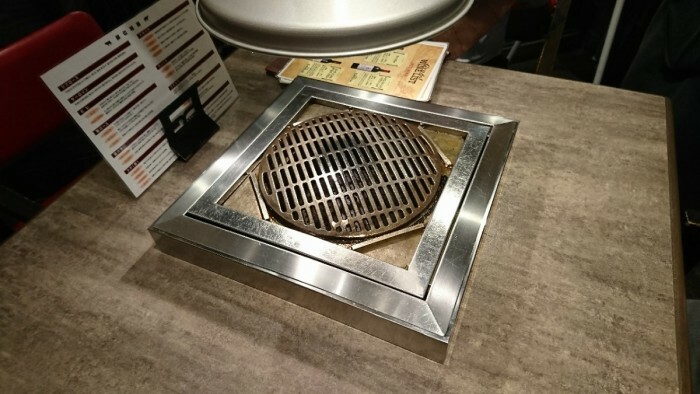 Here, you can enjoy the quality, the atmosphere, and the best Yakiniku. 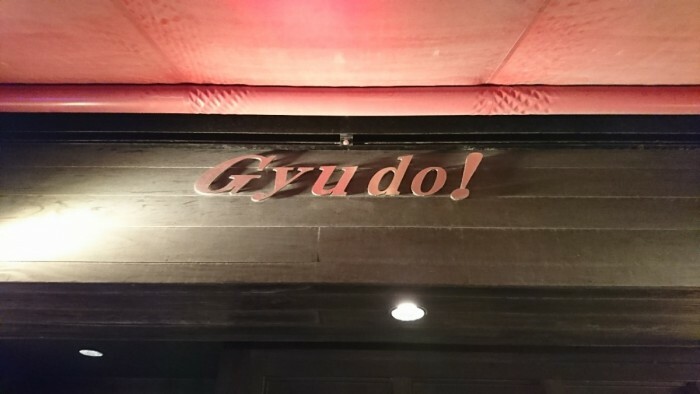 Please come to ‘Gyu do!’ !